Staci Manraksa was born and raised in Great Falls, MT, where (undeterred by the wind) she was an ace softball pitcher. Staci left central Montana to attend the University of Montana, graduating with a Bachelor of Science in Heath and Human Performance with an emphasis in Community Health and Prevention. She also did some post-graduate work in Nursing Science. Staci began working at Foot Law Offices, P.C. in 2004, working alongside Kristine Foot for the past thirteen years to deliver excellent representation to the firm’s disabled social security claimants. Along the way, Staci met and married a Marine (Ooh-Rah). Together, she and her husband are raising two young, very smart and energetic, sons. 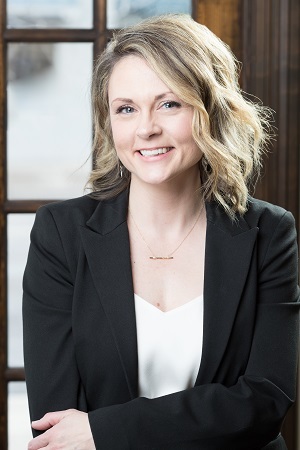 When not working at Clark Fork Law Offices, P.C., or transporting her children, Staci relaxes by knitting and watching HGTV, and spending time with family and friends.